Look no further for great apartment living in Jackson, Tennessee because you found it at Northridge Apartments. We are close to major freeways and only minutes away from fine dining, fabulous shopping, and popular entertainment. Students will be happy to hear we are less than 3 miles away from Union University. Our convenient location puts you exactly where you want to be. With a variety of one, two, and three bedroom floor plans to choose from, finding the right home will be a cinch. Our spacious closets will surely accommodate your winter and summer attire. 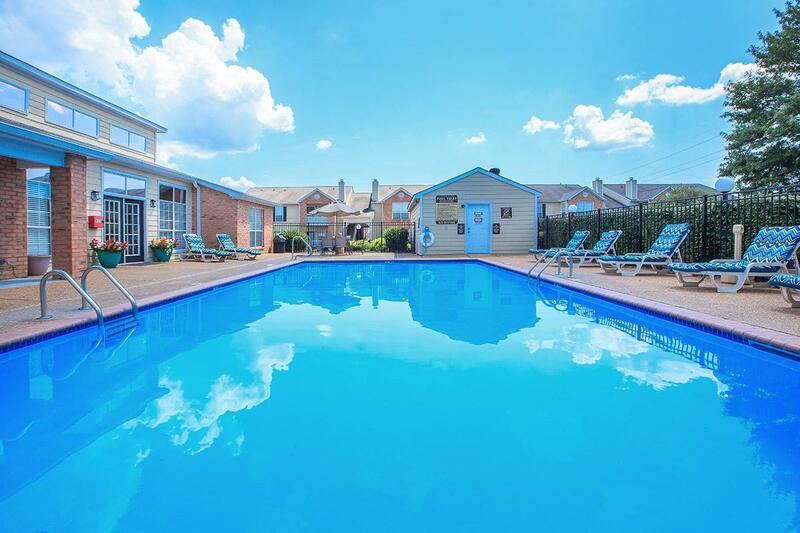 Additionally, central heating and air conditioning, full-size washer and dryer appliances, and self-cleaning oven are some of the amenities that make Northridge Apartments incomparable. We understand your pets are important to you and that is why we are a pet-friendly community. From the moment you arrive, you’ll feel like you’ve come home. Residents can train like an all-star in our 24-hour access fitness studio or take the plunge in our sparkling saltwater pool. We will always be here to assist you with on-site maintenance and management. Stop by and see what makes Northridge Apartments so special.